I’ve shown you this quilt in progress here and there, but I finished it this weakend, complete with rounded corners. 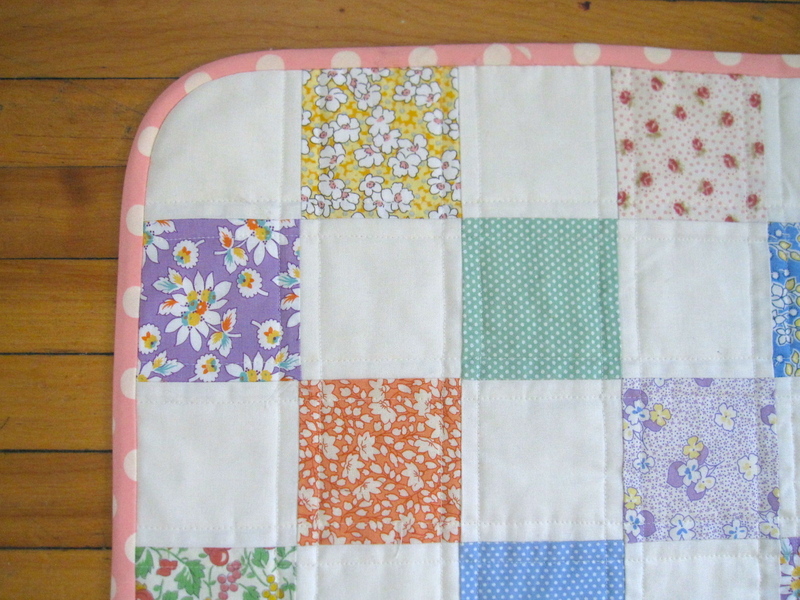 I basically just had to use all these sweet fabrics in a simple quilt as fast as possible. I don’t know why, I just wanted to sew with them, so I made this simple 4 patch. It’s a little lap quilt, or baby quilt and I love the fabrics so much, this quilt is totally me. Which is why I think I might be the one who gets the most use out of it, but I think it would also make the perfect gift for someone too. I’ll just keep it out to look at for now. 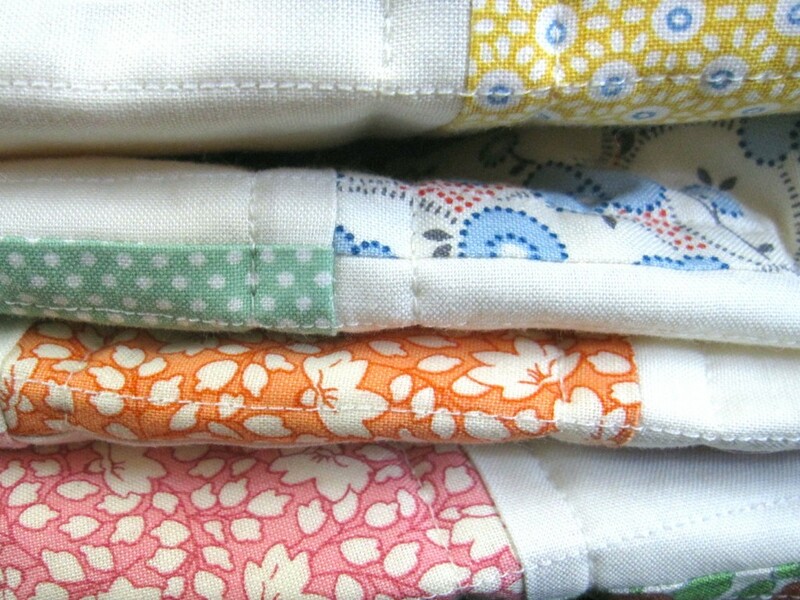 Simple quilt patterns are sometimes best, especially to admire the pretty fabrics. It was my first try at rounded corners, which were pretty easy, although you definitely have to use bias cut binding and make sure not to pull too tight as you go around the corners. Then you don’t have it spring back in and make the corners curve up tightly when you finish the binding. Yes, some lessons learned, but that was the plan! I backed it in the sweet “Posy” by Aneela Hoey for Moda fabric. It’s a lovely floral backing that blends well with everything. The binding is “Oh Deer” fabric by Momo for Moda, in blossom. 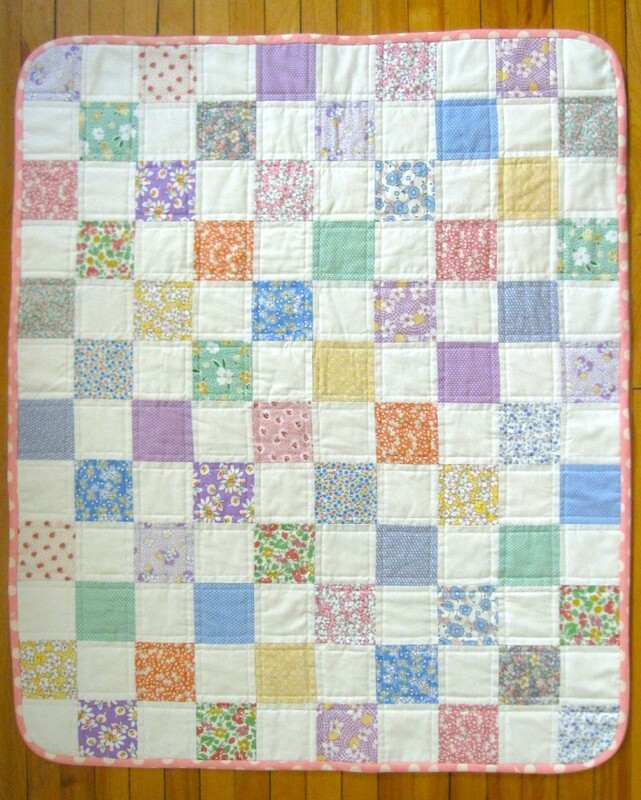 I straight line quilted the whole thing, just following the squares – super basic. But as it’s just my second machine quilted quilt, I’m pretty happy with this little gem. Perfect for an afternoon of tea drinking while reading. Really beautiful Wendy. 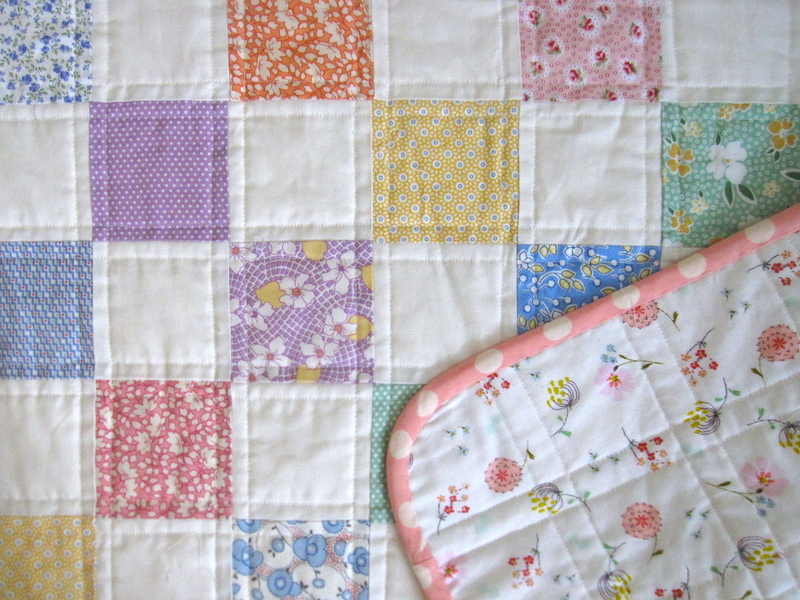 I love quilts, they’re so cosy and comforting.